The 2013 elections will be remembered as the ones in which an entire sector of society was boycotted, says MK Eli Yishai. The 2013 elections will be remembered as the ones in which an entire sector of Israeli society was boycotted, one of Shas's leaders, MK Eli Yishai, said on Saturday night. 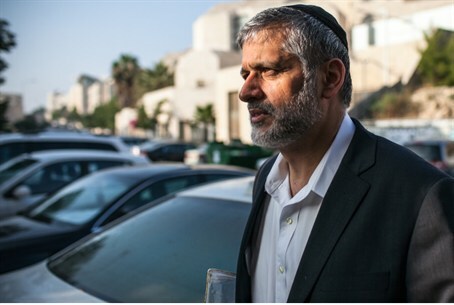 “The 2013 election will be remembered as a day on which an entire sector, traditional and religious, was boycotted solely for its beliefs and perceptions,” wrote Yishai on his Facebook page. “Beautiful words cannot sweeten the fracture and deep rift which was created in the current time period but will be remembered for years to come,” he added. “I'm not complaining about Shas not entering the coalition, which certainly disturbs me, but it’s much more disturbing that this reality was not created by disagreements, it was created for one simple reason: to see the hareidim out, matter what. Anyone who claims otherwise is not telling the truth and is dismissive of the entire public's intelligence,” said Yishai. Yishai pointed the finger at Bayit Yehudi and Yesh Atid for the hareidim being left out of the coalition but promised that Shas would not take political revenge on the settlement enterprise in Judea and Samaria. Warning that Yesh Atid chairman Yair Lapid would betray the Bayit Yehudi and seek to “hurt the settlements and the residents of Judea and Samaria,” Yishai said that his party would not turn its back on them. Reports over the weekend indicated that Prime Minister Binyamin Netanyahu was completing the task of forming the coalition and that Lapid will likely be Israel’s next Finance Minister. The reports in Israel’s media outlets also indicated that Bayit Yehudi chairman MK Naftali Bennett will be appointed as Minister of Industry, Trade and Labor. MK Moshe Ya’alon (Likud) will be Defense Minister. Bayit Yehudi will also receive the Housing Ministry, with MK Uri Ariel to be appointed to that position. The party will receive two additional portfolios which will be held by MKs Uri Orbach and Rabbi Eli Ben-Dahan. A final decision on which ministries is yet to be made. Yesh Atid will receive two additional ministerial portfolios, most likely the Interior and Welfare Ministries, to be held by MKs Yael German and Rabbi Shai Piron, respectively. Reports Thursday indicated that it would be Lapid himself who will be appointed as Interior Minister, a position held by Yishai in the last government. Bayit Yehudi indicated that it would be willing to negotiate with the hareidim on the issue of enlistment of yeshiva students, but is nevertheless being blamed by Shas for its being left out, mainly because of the pact between Yesh Atid and Bayit Yehudi.